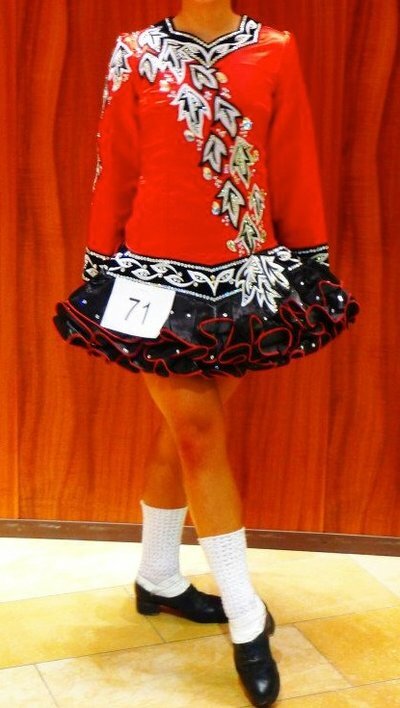 This stunning black, red, and white solo dress was made in 2013 by Thrasher Designs for an open championship 14 yr. old. It has only been worn 3 times – mint condition. 10 large tear drop Swarovski crystals added on the front leaves. Very light weight and easy to dance in. Stored flat in a non-smoking home.